Plaid is the mark of an easygoing person. While there are so many different names of patterns of plaid (tartan, glen, checkered, Madras, etc. ), we are going to let these two of the crowd favorite plaid patterns go head-to-head in this plaid showdown! Buffalo plaid versus gingham, who wins? How to Wear Gingham Plaid? 1. Gingham plaid is practical but dainty. 3. Gingham is recognized all over the world. What is Buffalo Plaid Fabric? 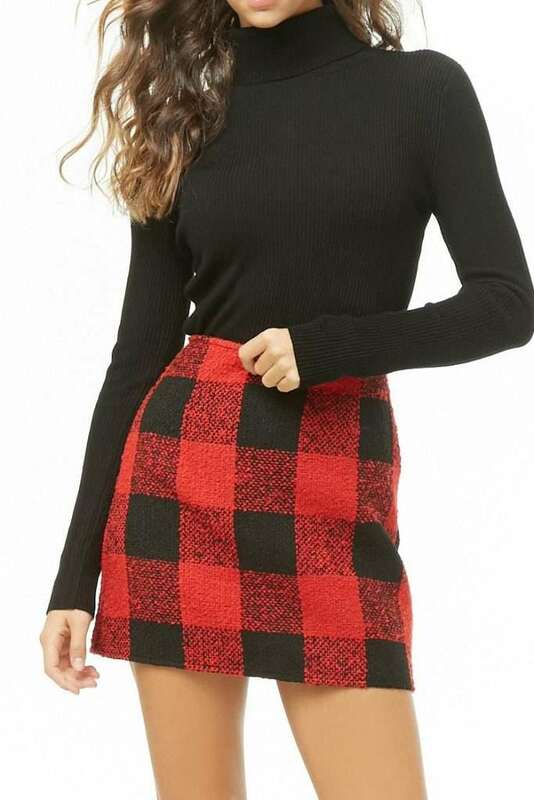 How to Wear Buffalo Plaid? Why We Choose Buffalo Plaid? Gingham plaid is one of the many variations of the checkered pattern. The plaid design called Gingham is most often used at homes as patterns for your kitchen towels, table napkins, or even tablecloths. The popularity of the gingham plaid is not limited to Brigitte Bardot’s pink gingham wedding dress or to Wizard of Oz’s Dorothy’s dress; this specific plaid pattern has surpassed its conventional mod status to become a home staple as well. Let’s take a look at a brief history of the wonderful gingham plaid pattern. French: Of course, one of the most fashionable nation, France, have a stand and claim on this fabric pattern. Like all the other things that are French in origin, they have a fancy-sounding term for gingham, which is, Vichy. The French call this fabric pattern as Vichy, because they claim that this fabric pattern originated from the Vichy region. German: Some Germans claim that the gingham plaid pattern originated in Bayern. Italian Origin: Italians claim that the gingham plaid pattern originated in the Northern parts of Italy. American: Some Americans say that the Gingham plaid is theirs because they have been producing this fabric pattern ever since. Indian: Like the Madras plaid, the Gingham could possibly have a little Indian descent. According to history, the Indians have used a fabric called, gamucha. It is described as a little towel used to dry the body. Japanese: Another fascinating origin story of the Gingham plaid is from the Japanese. Japanese historians say that the gingham plaid supposedly carries a spiritual symbolism. The fabric is even used to wrap around statues when a child had passed away. To this day, Japan continues to produce gingham that is 100% cotton–which is more than what other countries are producing. Cambodian: Gingham also has Cambodian origins. In Cambodia, they call it “krama”. This fabric has a wide range of use; from decorative, to the more practical usage. African: Among the most colorful of nations, Africa also has claimed that the gingham plaid originated from their people. A certain tribe called Masaii has long used fabrics with a checkered pattern as part of their national costume. Indonesian:Another origin story of spiritual in nature comes from the Indonesians. It is said that the gingham pattern represents the ever long story of the battle between good and evil. The crossing of the different lines represents the battle. There are several ways to wear the gingham plaid. We can breakdown the style of Audrey and Katharine Hepburn as style inspo. See, I can’t get over the fact that the legendary bombshell, Brigitte Bardot, got married in a pink gingham dress. I think that it’s very iconic to wear a pink gingham dress for your wedding. Another great example of wearing the gingham plaid pattern as a dress is the way Miss Katharine Hepburn did in her movie called The Philadelphia Story. You can completely steal their look just by getting this gingham dress from Dressific, GREAT IN GINGHAM MIDI WORK DRESS, at US$ 80.00. 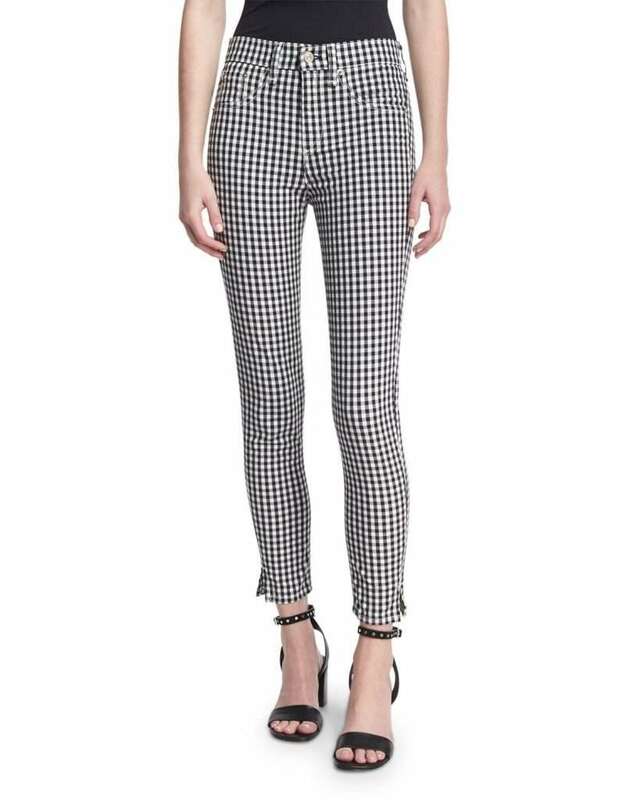 It’s midi and work-appropriate but not removing the chicness of the gingham plaid. It also has pockets! 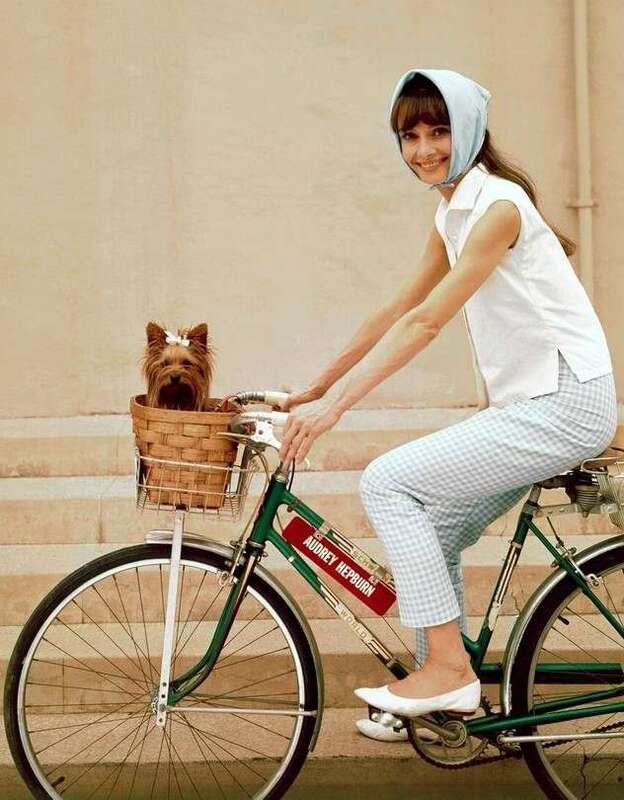 Photographed gleefully with her bicycle and puppy in the basket, Audrey Hepburn looks so young, carefree, and gingham-y! You can also cop this look with the Rag and Bone Capri Pants available from Neiman Marcus. Just like the great Ms. Audrey Hepburn, you can also pair this with a crisp white shirt to match with the style icon! Miss Audrey Hepburn was a big fan of neckerchiefs. Photographed in this picture is the beautiful actress wearing one but with a stripe pattern. 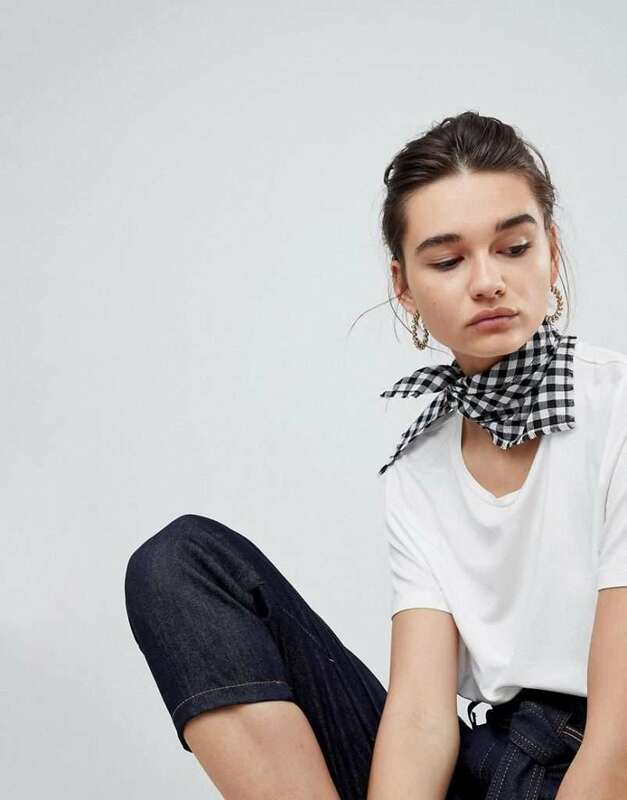 Fret not; the neckerchief can also work with a gingham pattern. The gingham neckerchief does not only enhance the laidback look but also warms you up in times of cold weather. There’s a purpose to the design! Guys, Brigitte Bardot, got married in a pink gingham dress! 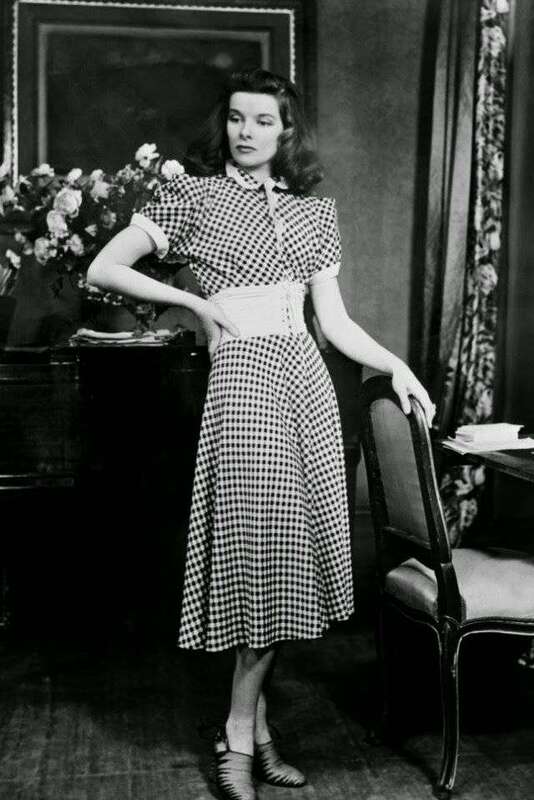 Katharine Hepburn was also a famous wearer of the fabric in her movie, The Philadelphia Story. The use of gingham by women makes it a very dainty fabric but just because it’s dainty, doesn’t mean it’s not for the strong people. Reading the Japanese and Indonesian histories of the plaid fabric is just compelling. The narrative of the gingham as a symbol of the fight between good and evil (from the Indonesian roots) is amazing because who would have thought that a simple and practical fabric could carry something as meaningful and profound as that. Just seeing how much history the gingham plaid has makes it easily recognizable by anyone in the world. In the Philippines, many schools use this plaid as a fabric pattern for school uniforms. All over the world, the gingham plaid is being used and even being mistaken for checkered! However, of course, as plaid lovers, we know better! Bigger is better, as they say, and this applies to plaid as well. The bigger Gingham or, we can call it as the Buffalo plaid is just as popular as the tartan plaid and is also a wardrobe staple of men and women alike. 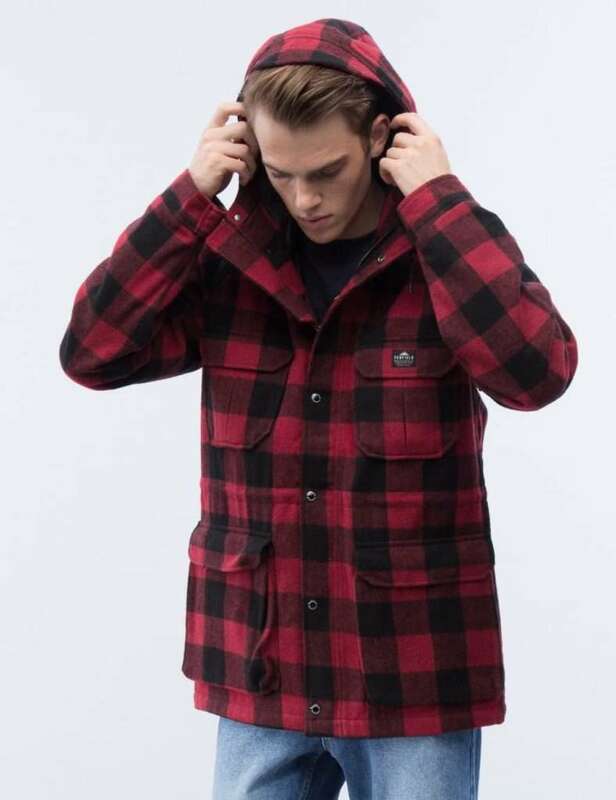 Buffalo plaid is associated with the hardworking lumberjacks and has gained the reputation to become the “lumberjack” plaid. Buffalo plaid has been labeled as the lumberjack plaid or lumberjack flannel, rightfully so, because of its popularity among woodsmen. It is said that the buffalo plaid had its origins in America, specifically in Maine. Woolrich Woolen Mills is a clothing company that started in the 1830s. At first, he was only producing wool and yarn, but after twenty years, he started producing fabric for clothes. 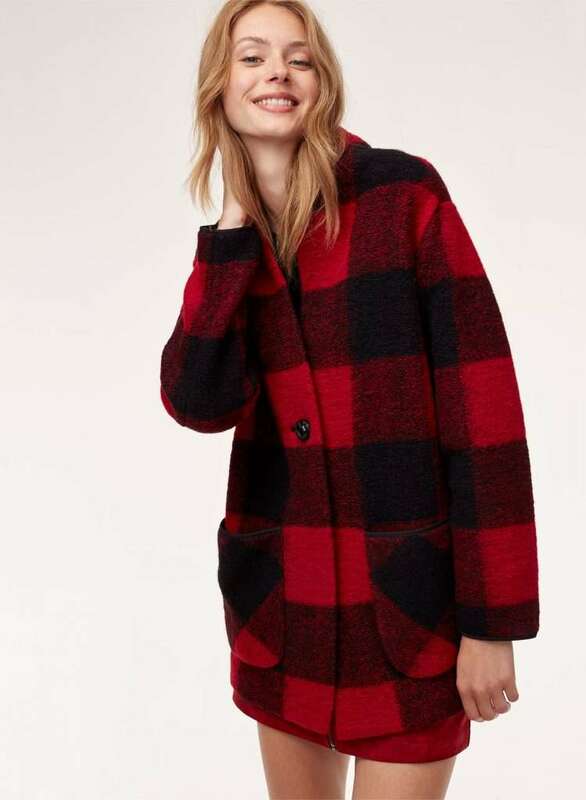 By the 1850s, the Woolrich Woolen Mills started producing the iconic black and red buffalo plaid. The plaid pattern is called as such because, according to legends, the designer owned a herd of buffalo. Since its conception, the design has gained a popular following, especially among outdoorsmen. In fact, it has become a symbol of the lumberjacks. It might be because of its stylishness as well as the function it is able to serve since it is made from good quality flannel. 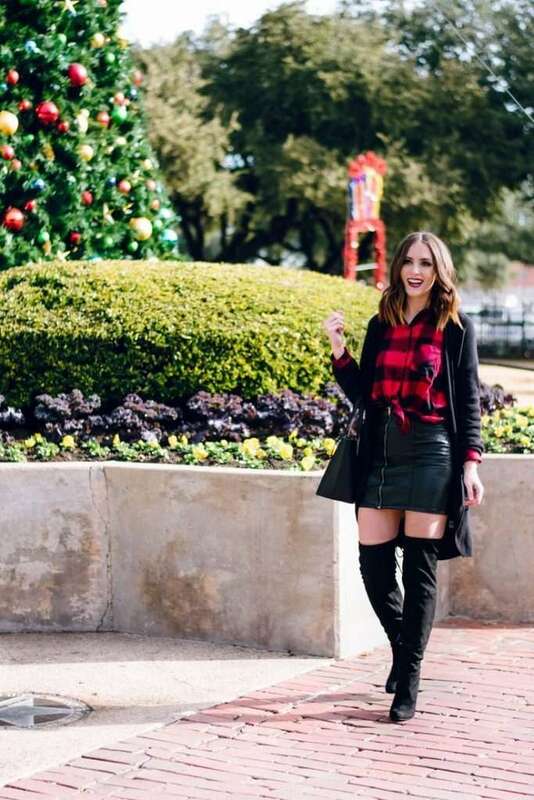 Buffalo Plaid is as versatile to style as gingham, but here are some of the ways that you can wear this as equally practical, Buffalo Plaid in a way that will get you noticed. Who would think that a simple fabric such as the Buffalo Plaid could make its wearers feel empowered? I think Buffalo Plaid can make its wearers feel as such because of its rich history founded on strength and rising through adversity. The company that first produced this fabric supplied this buffalo plaid during the time of war. I love it when products have a great background story. Gingham has very cool background stories, but the buffalo plaid has one that is very humble. I think that if you look at the buffalo plaid fabric’s history, you would be amazed at how it can symbolize and stand for hardworking people. Just look at the audience that is attracted by this simple fabric. 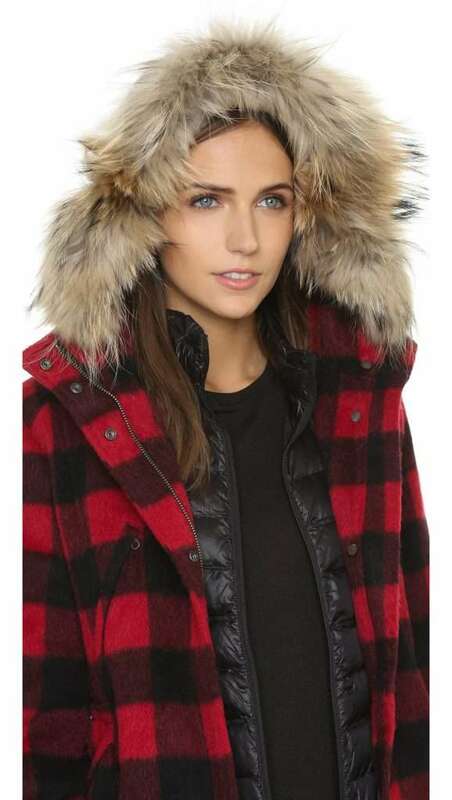 It’s not called “lumberjack plaid” for nothing! Just like its nemesis, the gingham, the buffalo plaid is also quite versatile. During the holidays, there isn’t a place without the buffalo plaid. It must be because of how it exudes a very warm and homey vibe. Well, also, it might be because it’s a combination of red and black, and red is highly associated as a Christmas color. Whether you are a man or a woman, you can rock either gingham or buffalo either way. Have you seen the parody account dedicated to J. Crew’s Gingham shirts? If not check out that Instagram here. It just goes to show that gingham is also a masculine fabric despite it being a mod for women in the 40s to the 70s. Don’t believe me? I suggest that you head down to your favorite clothing store and try on some gingham and some buffalo plaid. You will see just how stylish you would look in either of the two fabric choices. I declare that this plaid showdown to be a tie! Did this article get you excited for more plaid showdown? You can check out our article on the different types of plaid patterns and watch out for more of the plaid showdown. Meanwhile, you can also check out 25 Facts About Plaid You Didn’t Know Before for more trivia on this amazing fabric!